In honor of Veterans’ Day, we are sharing a chapter from the Philanthropy Roundtable’s excellent resource on supporting charitable giving to veteran-supporting efforts, Uniform Champions: A Wise Giver’s Guide to Excellent Assistance for Veterans by Thomas Meyer. This section explores the effort of the non-profit CODE to overcome initial failure and better measure its efforts to find meaningful work for veterans. What’s below has been edited for length. You can read the full, unedited chapter here. “Call of Duty Endowment” doesn’t immediately evoke thoughts of a hard-headed nonprofit that matches veterans with meaningful work. A large part of the success of both the company and the philanthropic spinoff comes from Bobby Kotick, the CEO since 1991 who guided the company through dangerously competitive waters to achieve its current success. The problem was clear to Kotick. But solutions seemed to be in short supply. Government spent a lot of money on sprawling jobs programs for transitioning service members, but with little evidence of success, and no eye for the bottom line. Meanwhile, many employers were relying on hiring managers with little experience of military life and no idea how to judge the merits of a veteran applicant. Philanthropy could remedy this mismatch. Kotick decided to fund organizations that bridge the gap between employers and veterans, launching his endowment with outside administrative help, and volunteer management from among senior executives at [parent company] Activision Blizzard. At that time, there were no examples of what a top-shelf employment organization for veterans should look like. And there was no easy way of connecting generous donors with high-quality profits seeking funding. The endowment struggled to do its best to distribute funding to organizations that seemed to have the right intentions. Between 2009 and 2011, CODE offered many small- and medium-size grants to groups that said they could help veterans find jobs. The board, however, became uneasy about its inability to assess the outcomes from these initial grants. In one instance, CODE’s largest grantee was unable to provide evidence of any success, and had actually lost track of how the money had been spent. Although it hurt to know this initial investment had been squandered, Kotick knew that if they could learn useful things from the failure, the experience would not be wasted. Kotick realized he needed professional help. He hired Dan ­Goldenberg, a Navy Reservist with a decade of business consulting. Goldenberg’s favorite method for solving problems was by solving ­processes. That seemed to Kotick to be the right approach. Within four months, Dan had identified his primary targets: organizations that helped veterans conduct realistic career assessments and those that taught them practical skills necessary to land a job. CODE ceased funding indirect approaches such as mentorship programs or those that educated hiring managers on the capacities of vets. The fund clarified what measurable results would be: job placements made, cost per placement, and quality of placements (judged by salary and job-retention rates). As CODE implemented its strategy, the board pressed for procedures that would find the best value in the shortest amount of time with limited manpower. Enter Chuck Shapiro, board member and senior executive at Activision Blizzard. He was shocked by how few charities for veterans had meaningful assessments for analyzing the financial health, governance, and results of their programs. Shapiro modified a version of his corporate audit toolkit and applied it to nonprofits seeking CODE grants. He replaced earnings measures with population numbers, price per placement, and job retention. He created four major categories—expenditures, program operations and outcomes, financial stability, and on-site observations. Using this new audit tool, CODE had to convince to open themselves up to this rigorous process. As an incentive, Goldenberg developed the “Seal of Distinction”—a prize the endowment offers to any nonprofit passing the audit. In addition the public recognition of having such a seal, the successful applicant receives a $30,000 unrestricted grant. This carrot enabled CODE to quickly gather information on a wide range of potential grantees so they could all be compared on the same terms. More importantly, the process created a conversation between charity and endowment about what kinds of outcomes could be achieved for specific grant amounts, and what is specifically needed for a grantee to expand the size of its operations to include under-served areas. Goldenberg is cognizant of the need for a mixed portfolio of organizations to meet the diverse needs of the veteran population. Reaching homeless and high-barrier veterans is a very different process, requiring markedly different capacities, than finding jobs for transitioning vets who just need a little direction. CODE is willing to support both kinds of assistance and in any part of the country. One example of a CODE funded success is Corporate America Supports You (CASY). Since 2010, CASY has placed more than 20,000 veterans in jobs, with an average starting salary of $69,000.The group is especially efficient at taking National Guardsmen and Reservists, who are older and generally well-prepared for the civilian workforce, and connecting them quickly to employers looking to hire ex-military. Sometimes, rather than expanding an existing effort, CODE will ask a grantee to move its services to new regions where a large veteran population lacks job placement services. For example: the Salvation Army Haven specializes in serving high-need veterans who are homeless, addicted, or involved in crime. In 2015, the endowment helped the Salvation Army add a new Haven location in Antelope Valley, 60 miles north of Los Angeles. Despite the difficulties of ministering to its target populations, the Haven has a 78 percent job-placement rate for enrollees, and fully 90 percent of the program’s placements are still at their job after six months. Its cost per placement is higher than most of the other grantees in the CODE network, but that’s because it works with more difficult clients. CODE has helped the Haven lower its costs while increasing impact. The net effects of the Call of Duty Endowment are greater than the sum of its savvy individual grants. Its audit and quality-control and continual-improvement procedures have elevated the entire field of employment services for vets. On a more micro level, CODE has had powerful effects on the nine grantee organizations that it has cultivated with larger grants and extensive time and attention—helping them take important leadership roles in the field. Data collected by CODE has proved useful in understanding the true state of the veterans’ labor market, sometimes augmenting the weak data that the U.S. Bureau of Labor Statistics gathers. For example, in 2015 BLS suggested the veterans unemployment rate had decreased significantly, but it became apparent that its survey samples were too small and its questions too general. CODE grantees, on the other hand, provided more useful data about the need for employment services, and that veterans’ unemployment remains high among specific populations. CODE has distributed over $16 million to nonprofits providing job services to vets, and has another $6 million in grants planned for 2017. In addition to the funding that ­Activision Blizzard has put into the endowment, the company encourages ­Goldenberg and the board to fundraise directly to the public and to other corporate donors. Structuring CODE as an independent charity, rather than corporate foundation, enables it to take in funding from outside sources. And it lets givers who want to help vets but don’t have the expertise, to leverage CODE’s activities to leverage their dollars. Much of the growth in CODE’s grant-making budget is now coming from these external ­donations—$3 million in 2016. Because of the rigor with which it evaluates organizations, and its businesslike approach to giving, the endowment has been able to engineer partnerships with a variety of companies that trust its grants. These include Costco, Carl’s/Hardees, Redbox, GameStop, and Amazon. Activision Blizzard also allows CODE access to its customers. Call of Duty buyers assume the identities of warriors in their game playing, and many are naturally inclined to support real veterans. Goldenberg has been able to launch several products that funnel small donations to CODE, including in-game “personalization packs,” a five-day gaming marathon, and a campaign where users could bid to become actors in a new Call of Duty game. Ancillary products like “Call of Duty dogtags” are also now sold to generate revenue for the charity. Overall, the Call of Duty Endowment has been a striking success. Hard numbers testify to that. 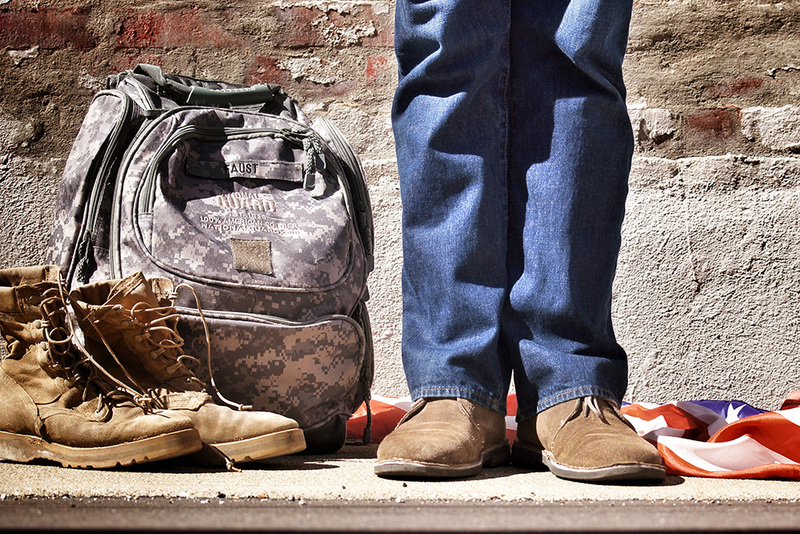 So far, CODE funding has put more than 25,000 veterans to work. Not bad for an organization that began with some disappointing grants.